raised || by || cassettes: Music Review // Badari "Dream Journal"
As someone who is a huge fan of hip hop I would like everyone out there listening to music to take note of this EP and how it is structured. It seems like if there was a way you could go to school for music and major in what genre you wanted to pursue (Badari would major in hip hop with a minor in soul) and then they taught you the class like "Hip Hop 101", then this would be used in it like a text book only, you know, follow this as an example but don't steal the ideas exactly-- you have to make them your own. "Dream Journal" starts off with a song called "Things I See In My Dreams" which has singing in the chorus and rapping in the verses. It reminds me of Twenty One Pilots though if you listen to radio rap maybe there are those on the radio who do this more but I'm not really listening to Kendrick Lamar nor J. Cole aside from hearing one song and then forgetting I ever had. At times this can remind me of Tonedeff and then not just because he says he's a sage on the second song, but I also do hear some Sage Francis in here as well. "When A Tree Falls" is a banger and by the time we get to "Ocean", which is the fifth and final song on the EP, that idea of singing and rapping returns like from the first song only different and it becomes one of my favorite songs, easily, and it just sticks to old idea of "Always leave them wanting more". Musically, from start to finish, this is how an EP should be especially if you're creating hip hop. 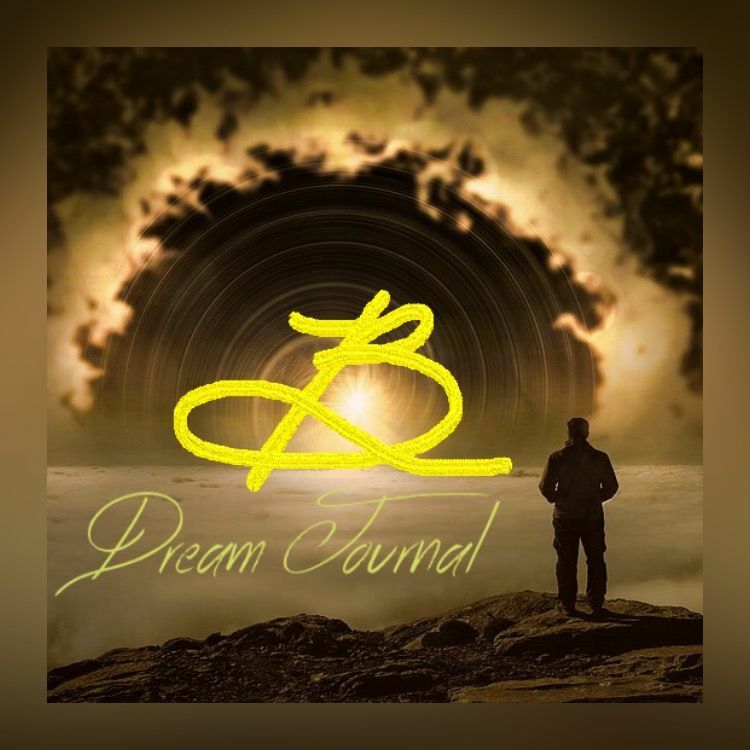 Lyrically, I enjoy this a lot because the rhymes are about the title- "Dream Journal"- though sometimes the dreams are like when you're asleep and other times the dreams are like aspirations. In the first song he name drops Grover in reference to a great kids book and the hook is "I need the answer to all the pain". This is something I feel everyone should be able to relate to because even if you're not in pain you surely can go on Twitter and read about those who are suffering and wish them well. Badari seems to be self aware of his lyrics and I like that about it as well. Going back to the idea of that radio rap, there just isn't a lot of substance there anymore and all of the songs seem to be about the same things, which is something the lyrics on these song touch upon and seem to also want to go against the grain. I also just think of the line: "They wanna bite all my flows but that's a thousand calories" and how someone could counter it with what they would do to burn off said calories but my knowledge of diet and nutrition doesn't extend quite that far. For an EP, this is how you need to present yourself. From start to finish, there isn't a track that you want to skip and it has the idea after you listen to it of being over before you know it rather than constantly having to check "Is this thing done yet?" These songs make me want to go through and listen to them again and I do really believe it should be some sort of model, some mold for younger rappers to follow. But Badari himself, yeah, everyone should be listening to this EP right now if you love music.